Our mission is to produce a one-hour talk-focused show that showcases major/indie hip hop artists and events happening in and around the greater LA hip hop scene. At least one hip hop artists (rapper, singer, DJ, producer, graffiti artists, film maker, entrepreneur, etc.) will be featured each week to discuss hip hop current events and their current projects. The Only Hip Hop Show (TOHHS) will air weekly on Tuesday nights at 9:30pm, and will be available for replay here, on our official website. Talk will be scattered with songs and music videos to fit the weeks guest and topics, and the DJ, guest and hosts will encourage call-in questions from viewers/listeners. 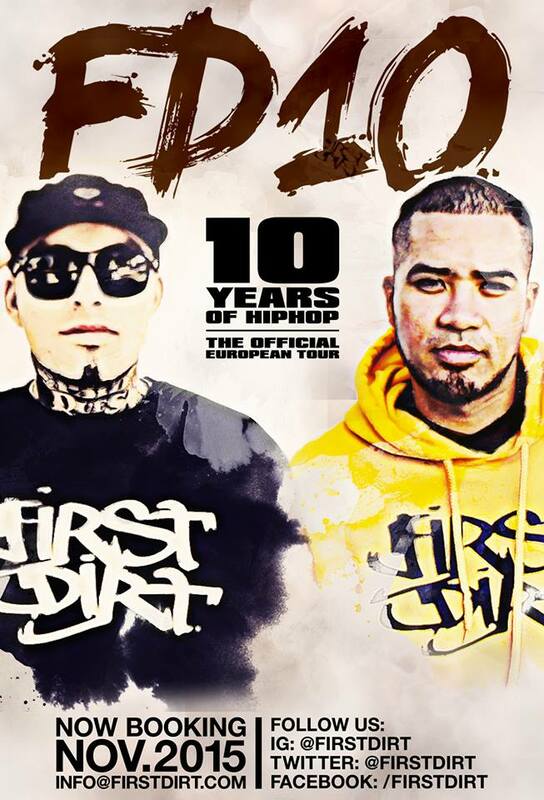 First Dirt went on their first European tour in November 2015. They scheduled, funded, and coordinated it completely independently. They built their relationships and got people to believe in their movement. Hip hop is no longer a genre of music where artists take pride in working hard to get their music to the fans. Not First Dirt. These guys have been taking their music to the people since day one. They don;t wait for anyone. They have faith in their music and just want to opportunity to be heard. So even if you don’t like their music you have no choice but to respect their hustle. Lets keep that tradition alive and not let the convenience of modern technology cast a shadow on the ones that stay true to the artform. For the single, “This One’s On Me”. Out Now!